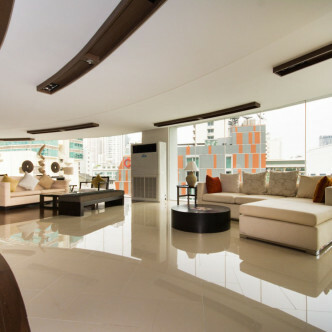 This luxurious building is 25 stories tall and features five hundred residential units. 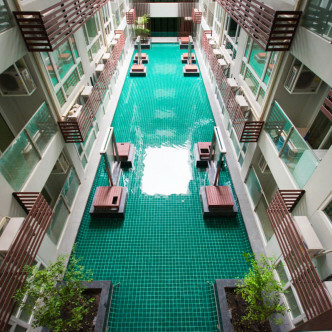 Residents can take their pick from studio apartments as well as one, two and three bedroom units, while a number of pool villas and penthouses and also available. 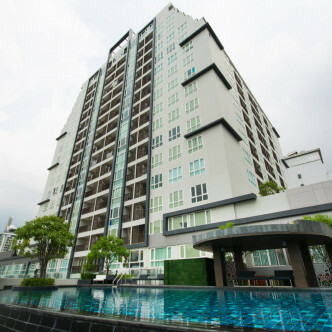 Each unit is stylishly decorated and comes complete with a full range of modern conveniences. 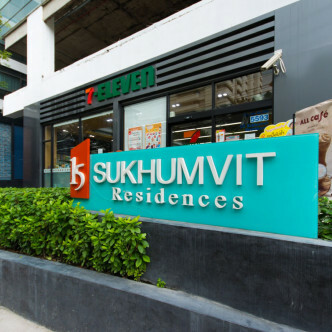 15 Sukhumvit Residences boasts an excellent range of shared facilities. 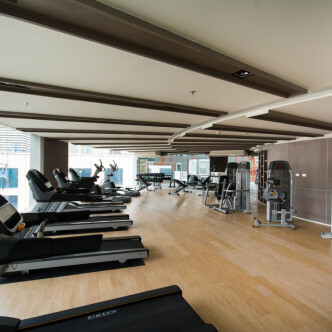 A fitness centre complete with sauna room can be found on the 8th floor, while the 9th floor features a luxurious infinity-edge swimming pool. 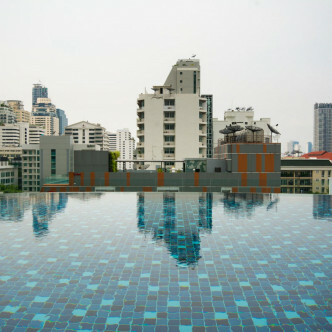 Other amenities that are waiting to be enjoyed include a club house, a water court, a Jacuzzi and a rooftop garden. 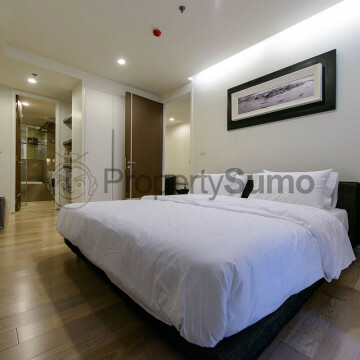 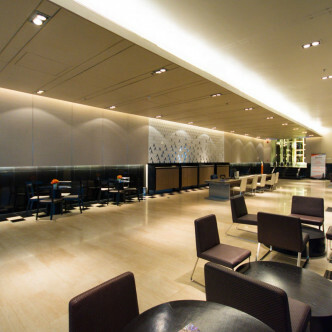 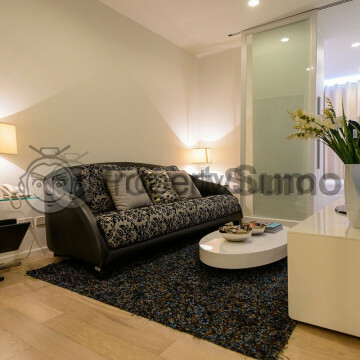 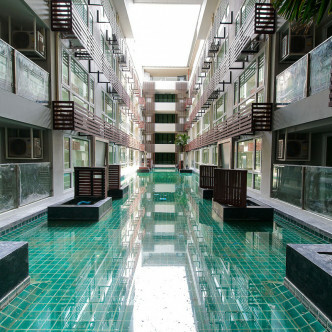 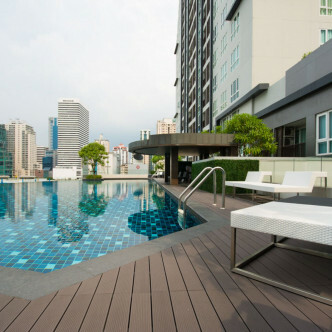 The building occupies a prime location in the heart of the Sukhumvit district of Bangkok. 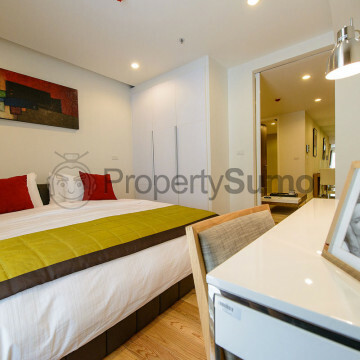 Both the MRT and BTS lines are within easy walking distance of the building, which makes the rest of the city extremely accessible. 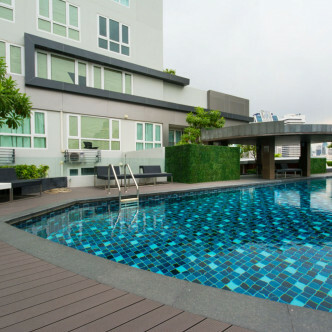 In addition to being set conveniently close to Terminal 21 shopping centre, the nightlife districts of Nana and Soi 11 can also be reached on foot in just a few minutes.